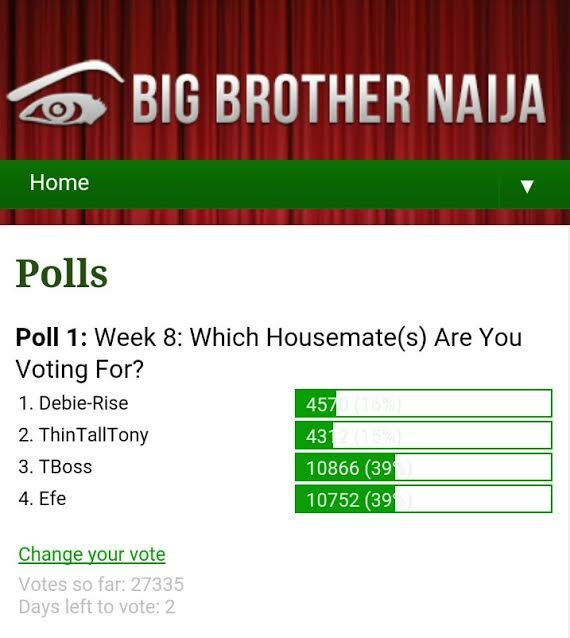 After early online polls showed Efe leading other Big Brother Naija nominated Housemates, Tboss has now put Efe behind as she takes the lead. 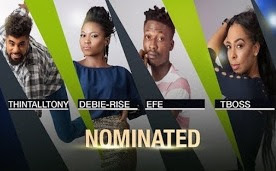 Debbie-Rise, Tboss, Thin Tall Tony and Efe are all up for eviction this Sunday. OMG! Check out this Deleted scene from Black Panther….THE NEVER WANTED US TO SEE IT!